If an individual injures a tooth in an accident, an emergency room will be able to stop the bleeding but will not repair or even possibly be able to save the tooth itself. Therefore, once the individual can return home and leave the emergency room, the patient needs to call an emergency dentist. A dentist can not only replace, repair or save a damaged tooth but can also provide specific emergency care for the patient. The individual may already be distressed from the accident and may have trouble remaining calm. 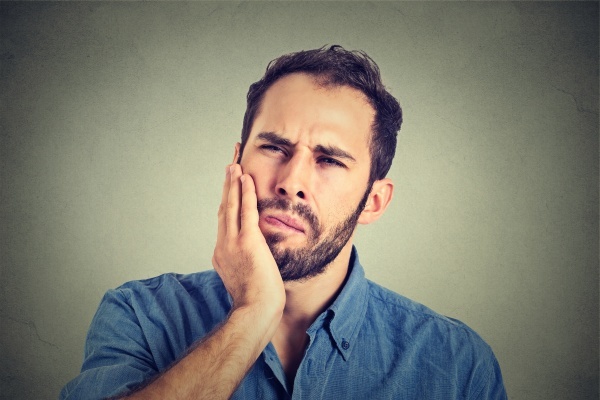 Seeing a general dentist for emergency dental care may not be the type of care that the patient requires, or the patient may have waited too long after the incident. General dentists are not always the best option, since they are not accessible outside of business hours. Emergency dentists can offer emergency treatment when the individual is in need at any hour. An emergency dentist has the required services to give the most effective form of treatment for the individual while also keeping the patient relaxed during the procedure. After the accident occurs, call a dentist office and arrange an emergency appointment. It is important to receive care for a missing or damaged tooth as soon as possible. The longer an individual waits to pursue urgent care treatment, the higher the chance that the individual will not be able to have the damage repaired. Abscess: A dental abscess is a sack of pus that starts in the tooth root from a bacterial infection. Facial cellulitis: Facial cellulitis is an ailment in which an infection from an abscess or plaque in the teeth causes discomfort and stretches throughout the face. Impacted wisdom tooth: An impacted wisdom tooth does not erupt from the gums correctly and can cause extreme pain and become infected without professional extraction. Irreversible pulpitis: Irreversible pulpitis is when an ache in the tooth appears spontaneously or continues to throb after the patient eliminates the hot/cold substance that was creating pain. Normal pulpitis will stop hurting directly after eliminating what is contributing to the pain. Tooth avulsion: Tooth avulsion is when the tooth displaces from the socket due to an accident or other hygiene issues. A dentist can replant the tooth if the patient seeks immediate care. Tooth fracture: A tooth fracture can develop from numerous sources, including an accidental hit to the face during a sports game, biting on something hard or falling face first. Luckily, tooth issues are treatable most of the time, and regardless of the treatment decision the emergency dentist and individual make, the teeth should be back on the right track for continuing robust oral health. Request an appointment here: https://stonecanyondental.com or call Stone Canyon Dental at (972) 996-3191 for an appointment in our Sunnyvale office.